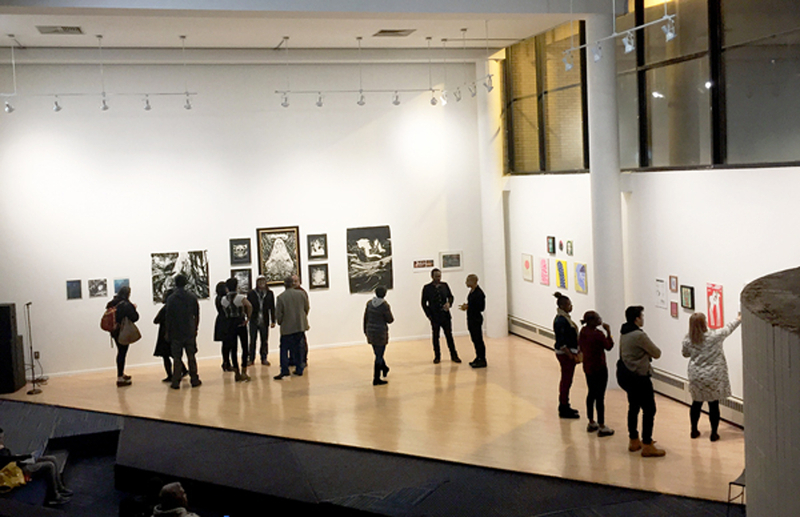 HSA’s Gallery Space is a 3,500 square foot carpeted area located at the core of the School that hosts a maximum standing-room capacity of 100; 75 for seated events. The stage area is 620 square feet. The 40-foot high ceilings feature track lighting, while the walls and monolith columns are bathed in natural light directed into the area by HSA’s award winning architectural design. During mild weather, guests can enjoy direct access to the courtyard. The Gallery Space houses a Steinway Grand Piano. For more information or to arrange a tour please email the rentals department at: rentals@hsanyc.org. Completed form may be submitted via email or fax to 212-926-8653.